Relevant background behind the legal provisions has been incorporated at relevant pl This would enable the students to understand the rationale behind the complicated legal provisions, create an interest in the subject and understand it well. Incorporates the newly inserted and notified provisions of the Companies (Amendment) Act, 2017 as applicable for May 2019 Exams. Incorporates all the relevant amendments made in the Rules prescribed under the Companies Act, 201 3. The Book has been enlarged by including new topics and sections. 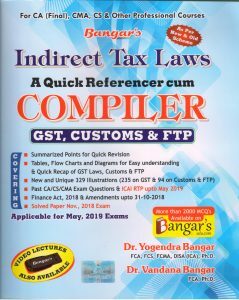 Self-created examples and illustrations and advanced Practical Problems have been added in various chapters so as to explain the intricate provisions of law. Amendments made by the Finance Act, 2017 and Finance Act, 2018(as applicable for May 2019 Exams) have also been incorporated at appropriate places. 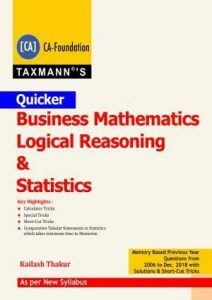 The Book contains more than 300 Theoretical Questions and 500 Practical Problems. 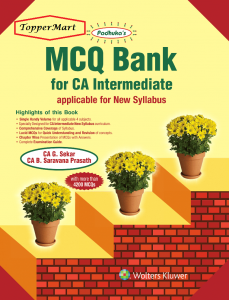 This Book has been specially designed for the students appearing in CA (Final) Examination of ICAI. 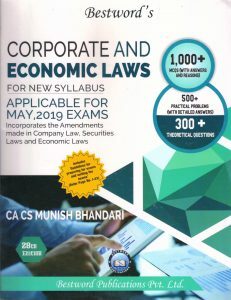 It has been written in accordance with the Syllabus prescribed by ICAI for Paper 4: Corporate and Economic Laws (New Syllabus). Relevant background behind the legal provisions has been incorporated at relevant place This would enable the students to understand the rationale behind the complicated legal provisions, create an interest in the subject and understand it well. All the Theoretical Questions and Practical Problems asked in Past 20 CA (Final) Examinations have been included in the Book (to the extent these Questions and Practical Problems are relevant as per the law applicable as on date). 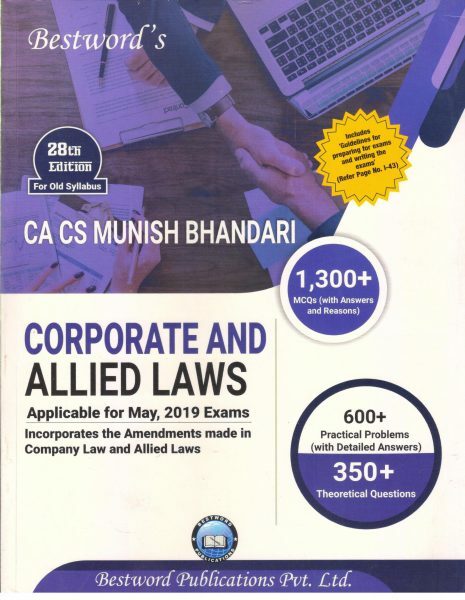 The answers to the Theoretical Questions and Practical Problems have been given as per the law applicable for May 2019 Exams.